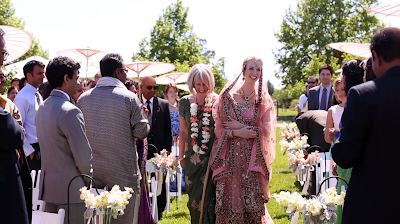 Jenny and Rishi were married at the Carneros Inn in Napa, CA. It was a gorgeous day with full blue skies. Jenny and Rishi tied their family traditions together with both an Indian and Western ceremony. It was a wonderful wedding day full of family love and joyful celebration. The groom's family met the bride's in a traditional marriage procession called a Baraat, complete with a horse drawn carriage, music and dancing. We working alongside Carlie Statsky and her husband Gabe of Carlie Statsky Photography and had a blast! 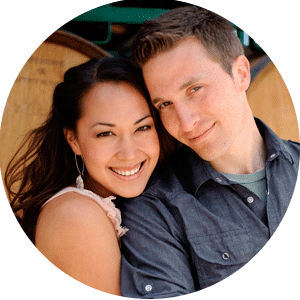 Congratulations on putting together a wonderful wedding video for this couple. The visual pacing is consistent and beautiful, the shot selection and angles work seamlessly to transport the viewer to the day. Often lost is the music and how difficult it is to use music that supports the visual and aesthetic appeal which you have done so very well. The voice over of the ceremony and speeches during the reception add the needed depth and here again the edit is just oh so right. I am always pleased to see your work, you two are a great pair and I am proud to know you. I know I am watching incredible work when I tear up even more watching the video than when I witnessed the event in person. Luke, you have an incredible talent that truly captured the spirit and essence of what was a beautiful day in so many ways. We can't wait to have you back on property! Thanks everyone! We are very happy with this film too!